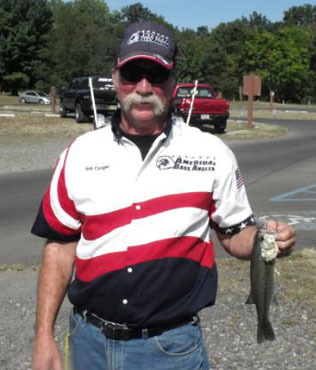 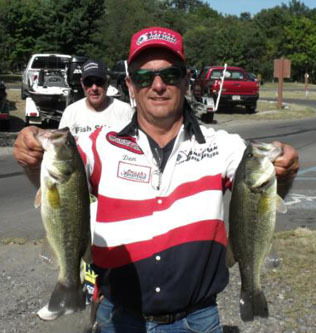 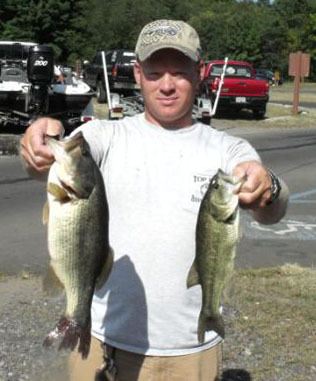 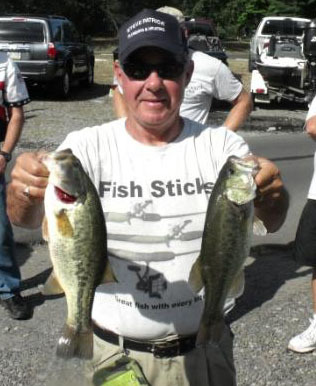 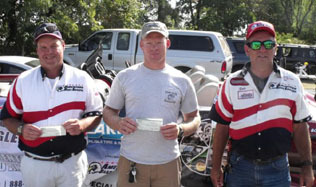 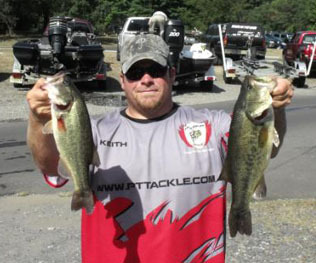 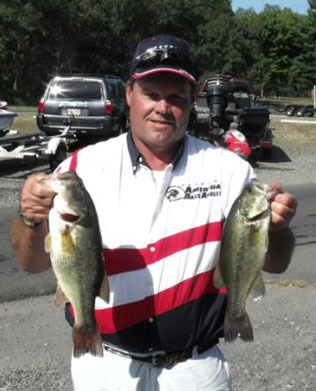 From Division 9 in Eastern Pennsylvania Septmeber 11th 2010, Dale Gorrell from Quakertown PA, is one step closer to the ABA National Championship with a 1st Place win and $338.00 in the American Fishing Tour bass tournament held on the Delaware River this past weekend. 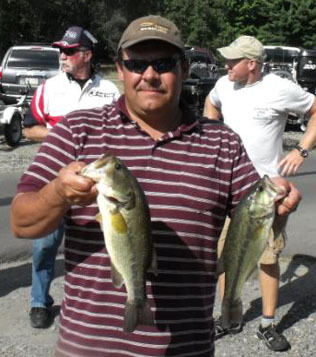 Dale had a 4 bass limit that weighed in at 7.69 pounds. 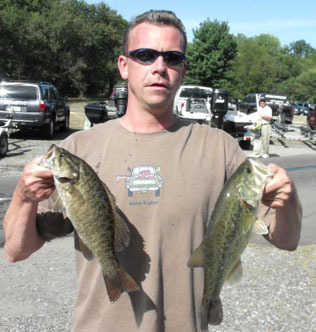 Second place went to Mike Sentore with a weight of 7.41 pounds; third place was Den Budzitowski with a weight of 7.29 pounds. 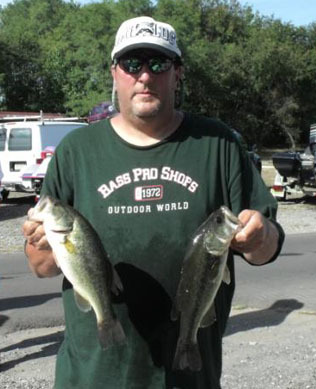 Big bass was awarded to Mike Sentore for catching a 3.68 pound large mouth.